The hatchback came about when more was asked of the sedan. The Kia Forte5 came about when more was asked of the hatchback. Featuring five doors, three trims, and one undeniable style, the Forte5 grants the space of a hatchback while driving like something more. At its heart is a 164-horsepower engine, upgradeable to a 201-horsepower 1.6-liter turbocharged GDI engine producing 195 lb.-ft. of torque through a dual-clutch transmission for a drive that feels as sporty as it looks. But unlike the sportier vehicles that inspire it, the Forte5 offers space beyond the minimal with 23.2 cubic feet of cargo volume. And with a 25 city and 35 highway MPG rating, the Forte5 only stops when you do. 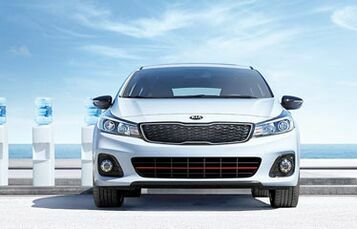 With a fun, sporty style, the Forte5 combines exuberant personality with unexpected utility. 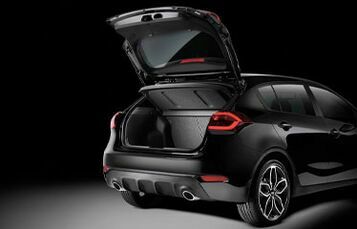 Thanks to its 60/40 split-folding rear seat, the Forte5 grants the freedom of prioritization for trips as practical or as personal as life demands. Available in three trims, the LX, EX and SX, the Forte5 offers options and possibilities. 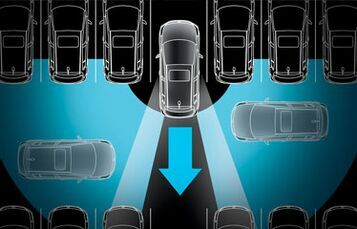 Optional features like the power sunroof and rear-camera display maximize comfort and convenience while the turbocharged engine upgrade of the SX will take any outing to the next level. Committed to safety by design, the Kia Forte5 comes standard with interior safety features including three-point seatbelts and a convenient LATCH child seat system. 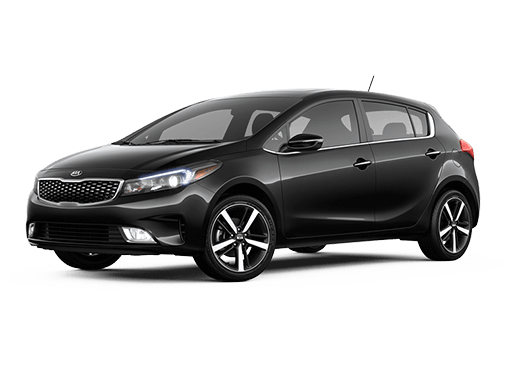 And with a suite of active safety systems including Electronic Stability Control, Hill-Start Assist Control, Vehicle Stability Management, a Traction Control System and more, the Forte5 is always prepared.